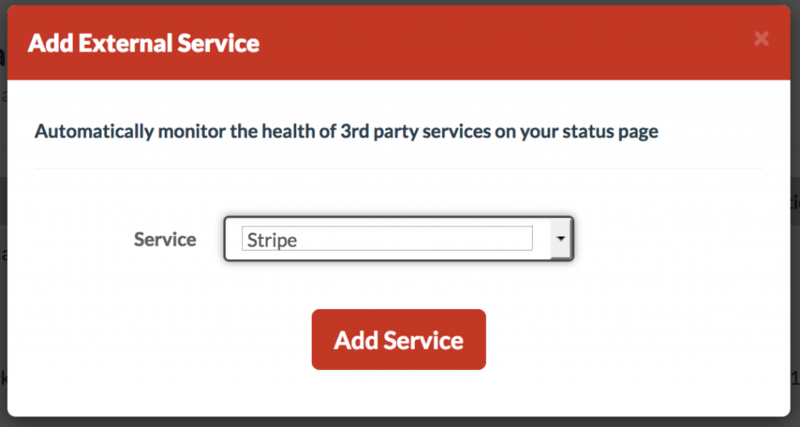 Display the health of 3rd party services on your status page. Our external service monitoring system checks the health of the service’s API. The monitoring checks are composed of a variety of methods, including checking the service’s public status page, performing a transactional check or a simple ping check at the minimum. The health of external services will be displayed on the status page. Notifications are not sent for any external monitoring events.